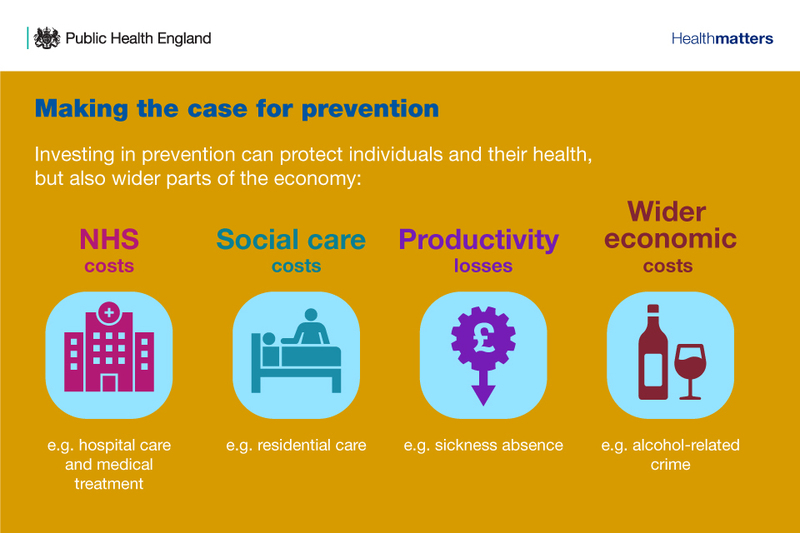 Prevention and early intervention are effective means of improving or maintaining health, reducing demand on the NHS and other public services, and supporting economic growth. However, all local authorities and local public health teams are under budget pressures and have to make increasingly challenging decisions over which services to invest in and disinvest from. As such, there is a need for support in making sure that commissioning decisions made across public health programmes are robust, transparent and defensible. This support is particularly important for local areas who want to reduce the need to make funding decisions based on historical spending trends, or investment decisions based on reducing all programme budgets by the same percentage; commonly known as ‘salami slicing’. While a public health intervention is intuitively the right thing to do, the economic case still needs to be made. The difference between trying to make the economic case for prevention versus treatment is that once an individual is in need of treatment, it becomes an issue of human rights, whereas with prevention, the onus is more on the individual. Therefore, in addition to making the case for government to spend money on prevention, it is also about making to the case to the public that they should start taking responsibility for their own health and wellbeing. However, short-term cost savings are a high bar to set for public health interventions, and the aim of public policy should not be solely to achieve maximum savings to public sector budgets. Most analysis into the ROI of public health programmes looks at overall societal costs and benefits, which are often measured over a longer-term horizon and include both financial and non-financial benefits, such as improvements in quality of life and reduction of health inequalities. Changing needs and context mean that local authorities must frequently review which public health services they provide for their population. Whether the decision to be made is around particular interventions, or a wider review of allocating resources across programmes, there are Health Economics tools that can help. 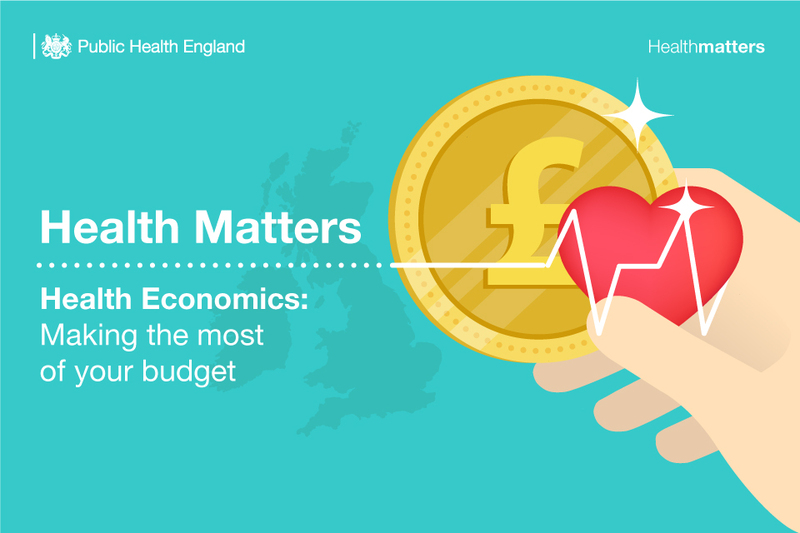 This edition of Health Matters focuses on the resources that PHE’s Health Economics teams have to offer. All of these resources aim to facilitate and simplify cost-effective decision making around commissioning, and are designed to be easy to use by those with no formal Health Economics qualifications. 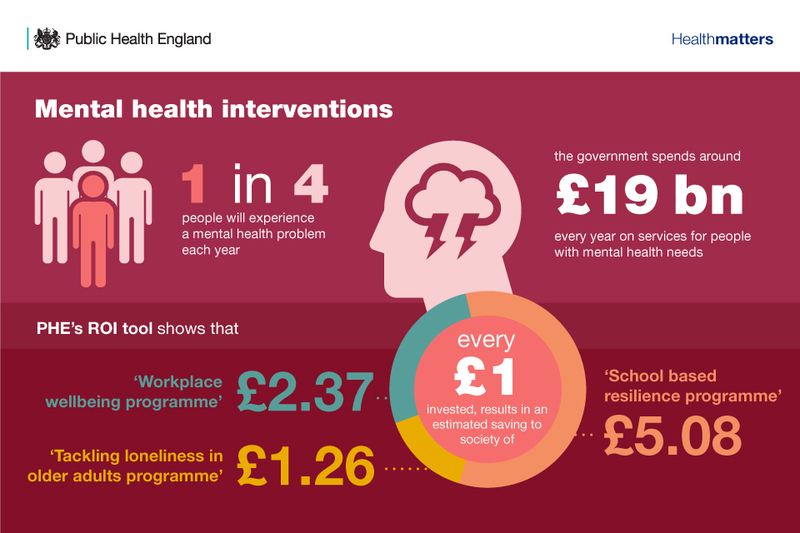 This edition of Health Matters also focuses on three interactive ROI tools produced by PHE: mental health services, falls prevention, and movement into employment. PHE’s Health Economics team will have a stand at the PHE Annual Conference on the 11th and 12th of September 2018. Please do visit the stand to find out more about any of the Health Economics tools and resources directly from the members of the team. We will read and research some of this and make further comments later.